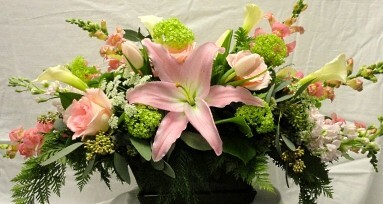 DOCKSIDE FLORIST is located in the Meredith Bay Shopping Plaza on Lake Winnipesaukee in the center of town. 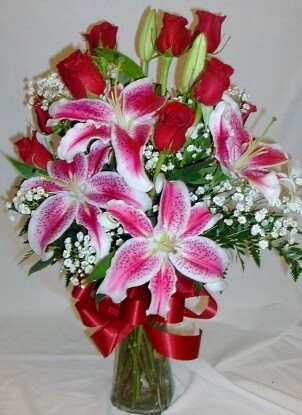 DOCKSIDE FLORIST is a professional local florist proudly serving Meredith, New Hampshire, Laconia, NH and most of the Lakes Region. 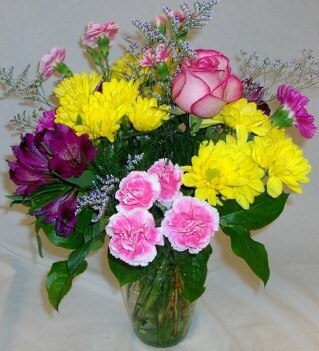 We are the major supplier of fresh flowers to many central New Hampshire businesses. Celebrating 21 years in business, owners Dave and Michelle Nichols have over 40 years combined experience in the floral industry. We hope you enjoy your online shopping experience with secure 24-hour ordering at your fingertips. If preferred, you may call us to place orders direct at 603-279-6222. Dockside Florist is really four stores in one. Besides being a full service flower shop, we carry a complete line of quality pet supplies, dozens of unique and whimsical items in our gift shop, and lots of decorative and handy outdoor products in our garden center and home decor section. Whether your wedding or party is formal or casual… a small gathering or the social event of the year… Dockside Florist can help you plan an event that's a "blooming" success! Once you have chosen a date, call our shop in advance at 603-279-6222 to schedule your consultation. Browse our wonderful green plants, blooming plants, hanging flowering plants and dish gardens for a gift that adds life to any room, office or outdoor space. We also have lots of spring bedding plants and spring bulb plants. One of our gift baskets of fruit and goodies would make a thoughtful and tasty choice anytime of year. Ganz plush stuffed animals, inspirational garden stones, garden decor, plaques, wooden signs, jewelry, perfume, scarves, seasonal & holiday decor, assorted wreaths, mirrors, children's gifts, official sports team merchandise, coffee cups, travel mugs, fishing themed memorabilia, balloon bouquets, candy & chocolates, silk arrangements, baby items, home décor, scented candles and more! 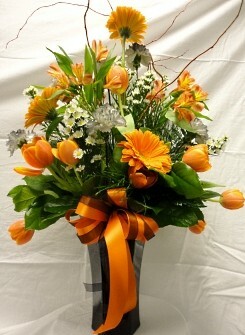 Thank you for visiting our website for flowers delivered fresh from your local Meredith, NH flower shop, Dockside Florist!